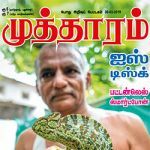 Buy (Order online) Mutharam Weekly Magazine (Magasin) Now. Mutharam Week Magazine prices are inclusive of shipping and handling through USPS. (for US deliveries). For other Countries shipping will be handled through their Postal Services (like Airmail in India). Address for delivery (Subscription) can be changed anytime. Please mail us the changed address details to info@magazinesemporium.com. 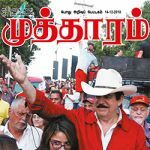 முத்தாரம் is the one and only General Knowledge Popular Weekly Magazine in Tamil. Started by முரசொலி மாறன் Murasoli Maran on 25.12.1980, it is one of the pride jewel of அறிவியல் தமிழ் Scientific Tamil. 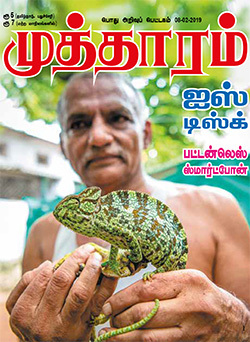 The Magazine gives so many variety of news items to Tamil readers. விண்வெளி Space science, மருத்துவம் new medical inventions, surprising aspects of our Earth பூமி, வரலாறு history, விளையாட்டு sports records, உலக சாதனை world records and all the new things under Earth. 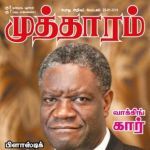 Mutharam Tamil Magazine subscriptions will commence either from current issue or from next coming issue. 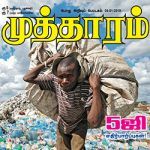 முத்தாரம் vaara idhal Tamil Magazine will be shipped immediately on getting the issues from the publisher. They are inclusive of Diwali and Annual issues. Any special issues will also be sent free.